Responsible food retailers and manufacturers are committed to supporting sustainability throughout the food supply chain. This includes protecting pollinating insects as well as consumers from potentially harmful crop treatment products, such as neonicotinoids. However, there is a balance to be struck between meeting environmental objectives and ensuring that farmers and growers have the tools they need to achieve the yield and quality standards demanded by the market. Retailers and manufacturers therefore need to develop robust and realistic pesticide policies that address the concerns of all stakeholders, fulfil their own corporate social responsibility objectives and protect the health of both insect pollinators and humans. How can Fera support food retailers and manufacturers? 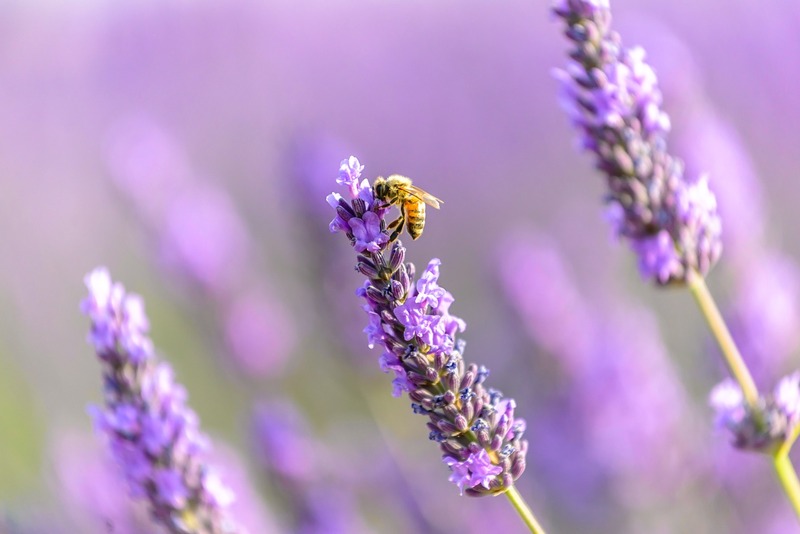 Fera offers a host of services to support retailers in managing their businesses responsibly, while safeguarding the health of bees and other pollinators through the adoption of the most effective pesticide policies and practices. Our specialists offer advice on amending company policies to minimise impacts on pollinator health – and qualify for beneficial government schemes such as Environmental Stewardship. We can provide comprehensive literature reviews, using a range of web-based, peer-reviewed and government literature to draw on the best available evidence to support retailers’ needs. We can then help retailers to prioritise evidence gaps and enable robust strategy documents to be developed. We can also generate new scientific data to support policy decisions, using our expertise in ecotoxicology, pathology and diagnostics. Pesticide policy development using the latest scientific research and evidence can include reviews of key pesticides considered harmful to beneficial insects, as well as pesticides used in gardening products that may be harmful to human health, such as glyphosate weedkiller. Our ongoing pollinator monitoring work can also provide valuable evidence to retailers on the impacts of government policy changes. For example, if there is a change to farming practices or a ban on a particular crop treatment chemical, we can provide important data on the effects of these changes on pollinator populations over time. To ensure that pesticide policies take into account the latest scientific evidence and address the views and concerns of all stakeholders, Fera have specialist social scientists who are experienced at carrying out structured consultations to gather information and opinions. These consultations could take the form of online surveys, telephone interviews or workshops. We provide summary reports of the findings to inform the development of appropriate pesticide policies. Fera provides a range of services to help growers manage and monitor their farms for the benefit of pollinating insects. Retailers have a vested interest in ensuring their supply chains are managing biodiversity effectively – thereby supporting their responsible sourcing and environmental protection policies. 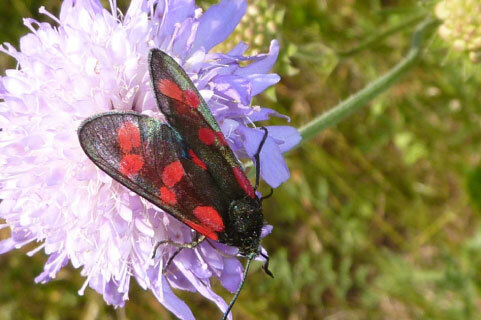 Our biodiversity services include advice on plant selection to suit soil types, cropping patterns and the range of pollinators in the area, as well as advice on encouraging insects that also control pests and diseases. We can provide advice on which pollinators work best in each location, according to the number and type of flowering plants present in the habitat. Our skilled scientist can identify pollinators at a species level. Understanding the range of pollinators present is important, particularly for fruit set and quality, and we can advise growers on improving the diversity and number of pollinating species. Government-funded schemes, such as Countryside Stewardship, also help to improve the sustainability of farming, and our specialists can provide advice on meeting the qualification criteria for these schemes. Against a backdrop of declining numbers of pollinating insects, including honeybees, bumblebees and hoverflies, the UK Government established the Insect Pollinators Initiative to investigate the status of the UK’s pollinator populations. The aim of the project was to develop a better understanding of the complex relationships between biological and environmental factors that affect the health and lifespan of insect pollinators. Fera was involved as a co-investigator in a project aimed at improving our understanding of pollinator populations and how to mitigate future negative impacts. The project investigated how the abundance and diversity of pollinating insects was related to land use, floral resources and pesticide use. Creating and testing maps of British floral resources, agrichemical use and related issues. Testing the effects of land management on floral resources. Testing the effects of land management, floral resources and wild pollinator populations on the productivity of domestic honeybee colonies. Testing the effects of land management, floral resources and managed honeybees on wild pollinator populations. By estimating the floral resource levels in our focal landscapes, we were able to assess the effects of local land management on these wildflower resources. Some of the variables we assessed were the types of crops grown, fertiliser usage on crops and grazing land, grazing intensity, the extent of features such as hedgerows, and the spatial structure of the habitats. We measured the positive effects on pollinators of habitat diversity and composition, and of mass-flowering crops. By assessing the amount of nectar and pollen produced by 306 plant species per unit of area, and combining this with data on the area covered by each plant species nationally, we were able to estimate floral resources on a national scale for the first time. We also developed a methodology for calculating pesticide risk scores and honeybee forager densities. The research found that agricultural intensification (especially in terms of pesticide and fertiliser application rates) was detrimental to bee populations and communities. We found that in 11 of the 14 sites studied, the richness of pollinator species had declined over the past 60 years. The strongest negative factor affecting bee abundance was pesticide load, while honeybee longevity was improved by greater landscape and floral diversity. The number of pollinators was significantly higher in habitats with higher nectar provision. The factors most strongly linked to pollinator numbers were the number of flowers, the month and the aspect of the site. Our results how that high flower density gives best the value, with maximum flower numbers recorded in late summer. Earlier flowering plants are still essential, however, particularly for bumble bees. The aspect of the site was important, with greatest value provided by habitats facing W/NW, S/SW, and E/SE. 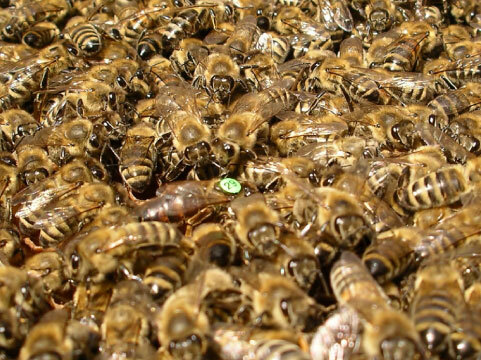 The research found that bee numbers were significantly related to temperature and sunshine, indicating the importance of a warm environment for foraging. Following this project, The National Pollinator Strategy (NPS): for bees and other pollinators in England, was launched. The strategy set out a ten-year plan to help pollinating insects survive and thrive. It incorporates a National Pollinator and Pollination Monitoring Scheme (NPPMS), which provides the scientific evidence base for assessing changes in UK pollinator populations. 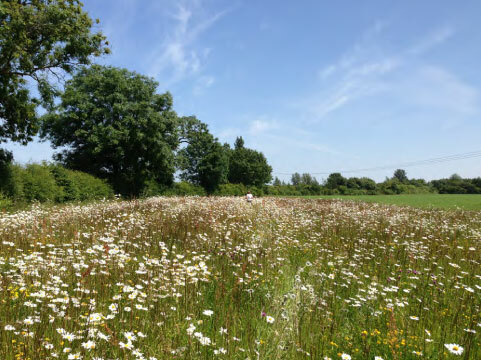 The research findings could support the development of services to help manage farmland habitats to provide greater floral resources for pollinators. The Insect Pollinators Initiative was a £10m joint initiative supported by the Biotechnology & Biological Sciences Research Council (BBSRC), the Department for Environment, Food & Rural Affairs (Defra), the Natural Environment Research Council (NERC), the Wellcome Trust and the Scottish Government, under the Living With Environmental Change (LWEC) partnership. Fera worked alongside University of Leeds, Centre for Ecology and Hydrology, University of Bristol and University of Reading.